Thank you for your interest in volunteering with Groundswell Center! We’re really excited you want to support our work for a sustainable, just and equitable local food system and we can’t do it without you. Whether you’re looking to help out once in awhile or in an ongoing manner, there’s a way for you to plug in. Asparaganza! Picking Station at Groundswell Info Table: Saturday, May 25th, 2019 - 12:30-6:30pm. We are in need of 2 volunteers to assist with pickling asparagus at The Good Life Farm/Finger Lakes Cider House annual super-fun event, Asparaganza. It is a family friendly event, with great food, music, and was a hit last year! Mushroom Inoculation Station at GreenTree Garden Days: Saturday, June 1st, Time TBA. We will be inoculating logs with shiitake spores at GreenTree, and will need 2 volunteers to help assist! This is a family friend event, but involves using power tools, hot wax, logs–so attentiveness is very necessary. Incubator Farm Volunteer Days: The first Thursday of every month, April-October, 5:30-7:30pm, we need volunteers at the Incubator Farm. More info below. Become a member of our Board of Directors: Board Members meet bi-monthly and provide leadership, strategic planning and fundraising assistance in support of Groundswell’s vision and mission. For more information about the Board of Directors, please click here. Become a Committee Member: Currently, Groundswell has three committees that guide our work; the Incubator Farm Committee, the Equity and Accountability Committee, and the Development Committee. For more information about our committees and how to get involved, please click here. Hands-on support is always welcome such as childcare or set-up/clean-up at workshops and public events, offering transportation for participants to workshops, posting flyers around town, and social media posts. 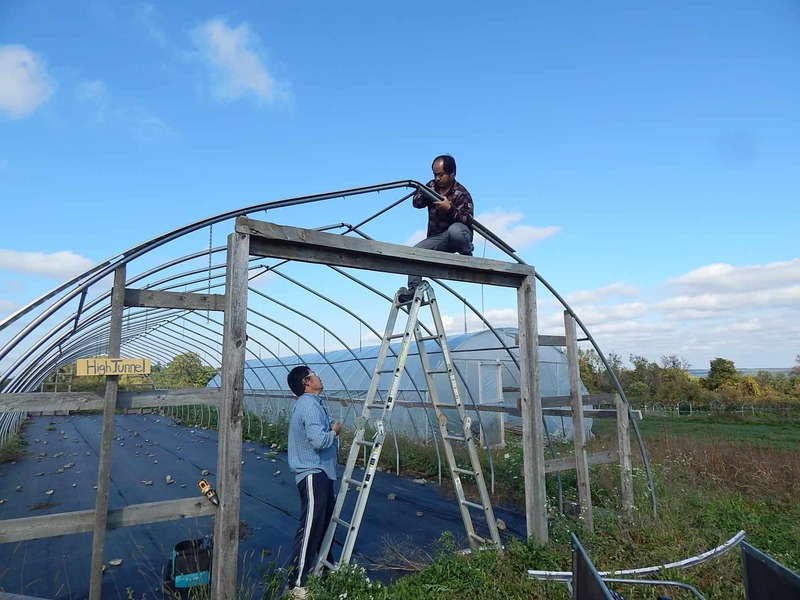 First Thursdays: From April to October, come help out at the Groundswell Incubator Farm, just a few miles west of Ithaca, on the first Thursday of every month from 5:30-7:30PM. Come for a the whole time, or just a short while! Tasks may include helping fix or build infrastructure, weed, plant, or helping the Incubator Farmers. Enjoy a beautiful sunset as you get your hands dirty! View our event directory for a list of farm volunteer days. Transportation available from downtown Ithaca. 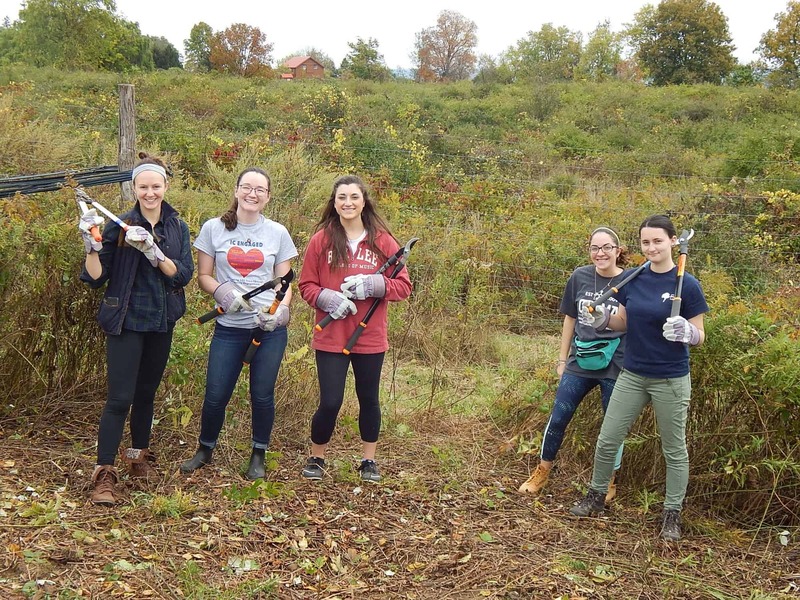 Corporate and Group Volunteer Days: We welcome companies, businesses,and schools for work days and private tours on the Incubator Farm during the growing season. A $50-100 donation is requested for groups.